I've got one I can send you. You can keep your Huret one too. PM me your address. Picked up a set of Suntour barcons and need the above to mount 'em on my '83 Expedition. Have: a handful of odds and ends. Whatcha need? Thanks for the offer. I have one coming already but would love more... I just don't have a loose cable clamp to trade. 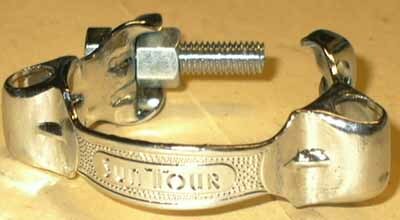 Mine are working with my Suntour barcons presently. Sorry.